Yesterday, September 21, was the anniversary of the declaration of Martial Law in the Philippines. This led me to think about the Marcoses, which led me to think about EDSA, which then led me to thoughts about how EDSA should have been EDLSA if we were to follow the proper way of writing Spanish surnames with articles like "de", "de los", "de la", "de las", and many more. As I mentioned in a previous post, in modern times, Filipinos have simply lumped these particles together, such that surnames using "de" followed by a name beginning with a vowel are usually combined (such as Deparine from de Parine, Deabordo from Deabordo, Delima from de Lima, and so on). "de los" and "de la" have also transformed into "Delos" and "Dela"; thus, Epifanio Delos Santos. If we were to be really strict about it, the acronym for Epifanio de los Santos should have been EDSLA and NOT EDSA. Speaking of De Lima, I am appalled at people's disregard to do simple research on how to write a name like Senator Leila de Lima. 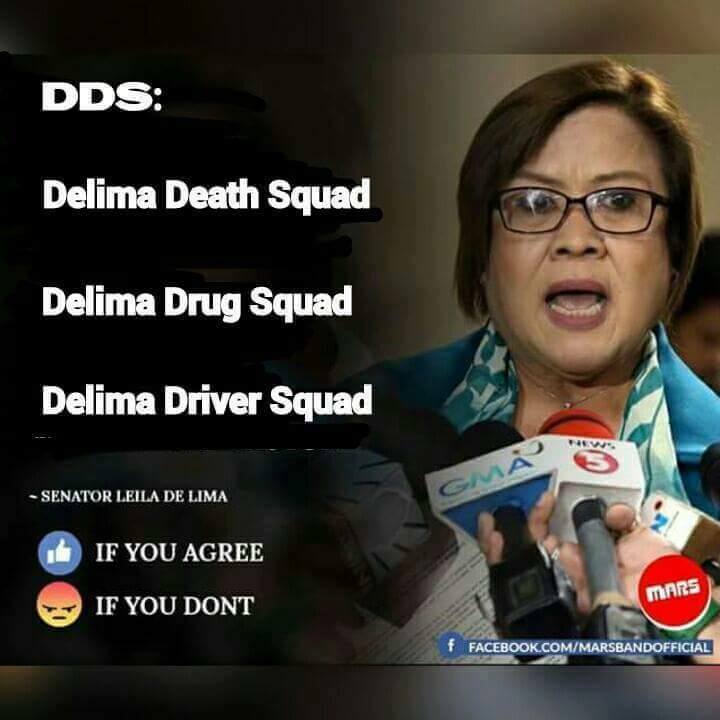 I have seen many funny memes on social media using De Lima's name in instances like "Delima Death Squad", an allusion to the DDS with which President Digong has always been accused of leading or protecting at the very least. As a genealogist I feel I have to speak out at the blatant misuse of De Lima's last name. While alphabetizing surnames does not always follow the same rules, if we were to pick out popular surnames in history and the arts we know that President Charles de Gaulle of France is always known and listed as "de Gaulle", while famous composer Ludvig van Beethoven is only known as Beethoven. However, Spanish writer Miguel de Cervantes, author of the famous work Don Quixote, is always known and filed under Cervantes and never de Cervantes. We have to understand that because majority of surnames in the Philippines with a particle are of Hispanic origin, then we will concentrate on the rules of alphabetizing Spanish surnames. Many people from the English-speaking world consistently treat surnames with a prefix the same as any other surname or treat surnames with spaces as if it were one word. However, according to The Chicago Manual of Style (15th ed. ): “In alphabetizing family names containing particles, the indexer must consider the individual’s personal preference (if known) as well as traditional and national usages.” So it follows that we must follow the rules governing name alphabetization in the name's country of origin. In the case of the now household name Senator Leila de Lima, if we want to alphabetize and file her in a list of names, The Chicago Manual of Style and Spanish naming customs say that she should be filed as "Lima, Leila de" because the Spanish "de" is not used before the last name when it stands alone. This is also the same rule that applies to names with the prefix dela, de la, delos, and de los. What do you think, Madam Senator? MARCIAL BONIFACIO DILLEMA OF MADPNOY HACIENDA LUISITA SELF INTEREST OF NOT BEING A YELLOW OLIGARCHS HERO FOR 32 YEARS OF MASS MEDIA DECEPTION.